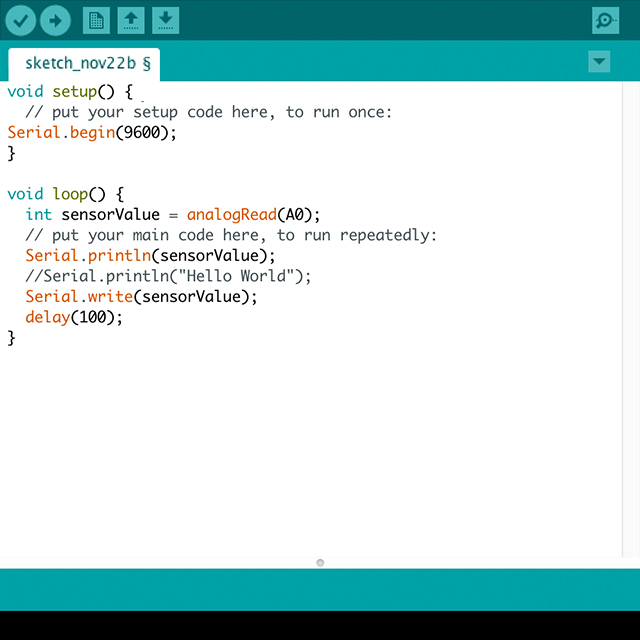 Serial output from Arduino to Processing. 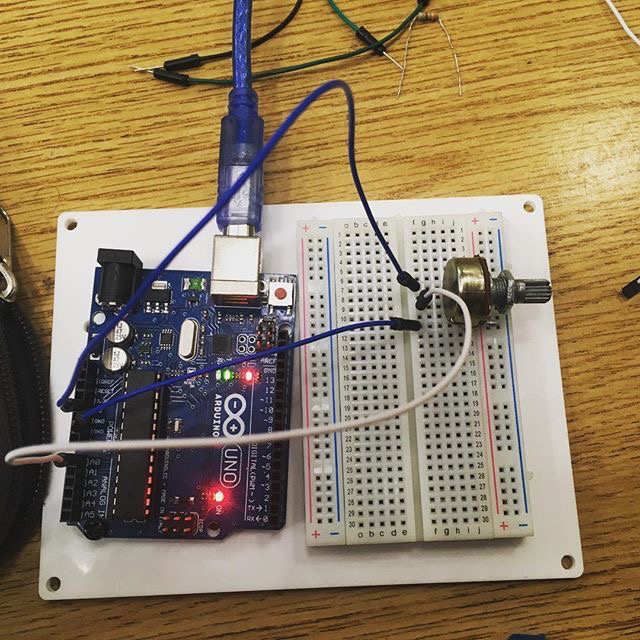 Reading a pulse modulation from potentiometer to processing. The Arduino code looks something like this. See below. Also, make sure your settings like the correct board and the port you are communicating with is the correct one. Now, let’s get the Processing code in. You’ll need to import the “Serial” library if you haven’t. See below. // is always my Keyspan adaptor, so I open Serial.list().